I'm feeling better today and we brought the kids out to the mall after the church programme. 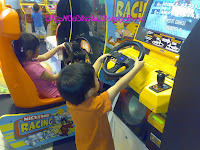 They were rewarded with arcade games and Ben & Jerry ice cream for being a good kid when mommy is sick. This was the 1ST time we took neoprint together. Friday - My body was aching all over.... Fever & flu. I had to send and fetch them from school AND send L for her ballet in the evening. As soon as they came back from school, I told them I needed my rest. LZ were very sweet, they did not disturb me for that 2 hrs. Z massage me when I complained to him that my body ached. L took care of her bro and herself, when they want something to eat, they helped themselves. Saturday - Daddy was very very sweet. He took care of LZ while I sleep throughout the day. I took medicine, sleep, eat, medicine, sleep....... He was supposed to go back office but seeing how sick I was, he stayed at home. It was a good time for daddy to spend time alone with them. They watched TV, read books and played games. In the evening, daddy showered for both and get them ready for bed too. As I was going thru their blog, L asked if she can read it. They knew that I note down things that they have done or said. 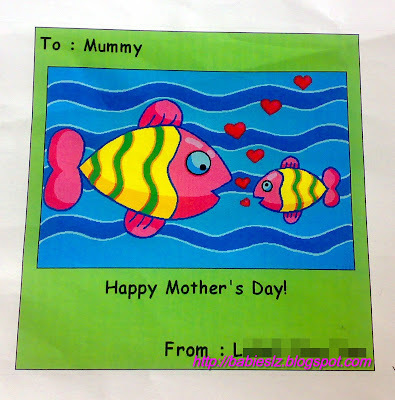 She was very happy that I posted her Mother's Day card for me here. And what made me more excited was that she was reading what I wrote! Soon my girl will be able to read what I have written all these while.... Usually she will see the pics that I post. LZ were having their meal and I decided to take a shower this morning. See what they done while I was showering! Arrgh.... I am so angry! Know what were their explanation for doing this? They think that our wall are too dull so they decided to "decorate" it. I can't remove the marks at all! Any idea how to? When they came home from school, L told me she yet to complete her colouring! Arrgh! Last week while we were stepping into the lift, my kids as usual, greeted our neighbours "Hello". One of our neighbours said : " You know huh... These 2 children are the stars of the block! They are always so cheerful and greeting everyone. Hahaha.... " Thank you for complimenting our babies. They greet everyone in our block including the aunties & uncles who clean our block. Their friendliness extend beyond our block, they greet the taxi driver too. Sometimes just before we get into the taxi, I saw the driver looked grouchy. But as soon as my kids got into the cab and said "hello uncle! ", we see a big smile on his face. They simply know how to brighten the day for some and break the ice too. Sorry, I can't help it... I just need to praise them for that. Hehehe... They used to greet everyone that walk passed them till I explained to them. 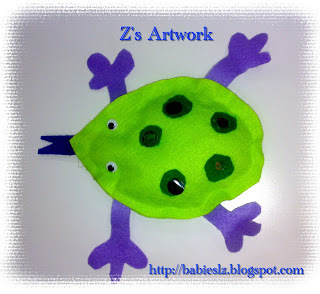 This week Z did the frog and it is filled with beans. He saw another girl doing this and he told teacher that he wants to do this too. 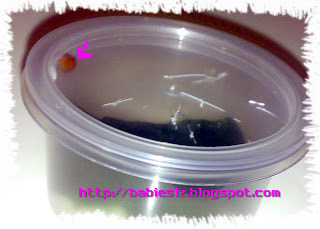 While I was cooking on Monday evening, Z came running towards me "mommy! There is something in your room!" . He found a ladybird on my bed! Yucks! How did it get into my room? I have to get rid of it! Then I thought, why don't I try to catch it and let them have a closer look? I quickly ran to the kitchen to get an empty container and with the lid, I managed to put it in. L suggested, "mommy, can I bring it to school to show my friends? " That's a good idea! The next day, both fight to bring it to school. Since it was L who suggested that, I decided that L will bring it to school first. Z was unhappy but when I told him the next day it will be his turn, he was alright. They were sad when I told them that we can't keep the ladybird. I had to come out with stories that the family will miss it, maybe it is a mommy/daddy and the children looking for it, blah blah... When they heard that, they think that we should let it go too. When Z brought it to school, they reminded each other to say farewell to it. So cute hor? They had fun showing it to their friends. The teachers were happy too that they brought it along especially Z's teacher. She asked if she can keep it to show it the other class. Why not? We intend to set it free today after Z's turn. Think they missed their Show & Tell session in their old school. I am so happy! My girl made this card for me from her computer lesson yesterday. Thank you, Sweetie! She told me the big fish is me and the little one is her. When I was going thru her e-files from her computer lessons, I noticed that most of the cards that she made was for me. I guessed I must be very important to her. Hehehe..
TT is very happy with Z. She said that Z is very focus when doing his work. Before the lesson starts, the teacher usually show the child what they are going to do and ask the child if he wants to the pic. Z will always says OK and procceed with whatever the teacher gives him. When he can't do certain things, he will says, "teacher, I can't do it." Then TT will show him how to and he will try his best. Every week, Z will ask "are we going for art lesson today?" I am very happy to hear that he is enjoying the class. I was surprised to know that for art lesson they have PTS. L's teacher - Teacher Fiqah & Z's teacher - Teacher Tricia. L - Teacher Fiqah (TF) said L has been doing great till this few weeks, L was seen bored with the class and have complaints too. Well, I have noticed that too. She is currently at L 4. TF also showed me works that were done at different levels. - she is not bringing home as much work as her brother. So TF was wondering is she alright. I told her that L ws upset that she is not bringing home the same numbers of work as compared to her brother. 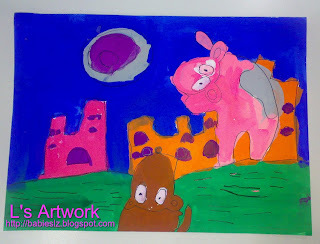 I did talked to L abt it and she is keen to continue with her lessons but she was hoping to bring bk more work. I have explained to her before that, as she is older, she will be doing different kind of work from her bro that need more time to complete. TF asked me what kind of pics does L like to draw. I told her she would like to draw fairies & people. She has been saying that she is unable to draw people nicely. After discussion, TF & me decided to work on that. TF will teach her how to draw fairies and other stuffs that she is interested in. After talking to her this evening, I was right abt her behavior for the past few lessons. She is upset that she is not bring home more work. Then I have to explained to her again that she is a big girl now and she needs to progress farther, by drawing more refine pics. I asked her what pics would she like to draw and I was right! She excitedly told me she wants to draws fairies, people, animals etc. I encouraged her to tell TF that. She is looking forward to her next lesson! Well, we will see how it goes, if she continues to behave like this, I will have to withdraw her from the class. I don't want to see my girl not enjoying it at all. L : You get to brush my teeth today. Only today! This morning, I packed their gifts in a bag, making that they won't know what was inside. In Cairo, it is rather difficult to find any toys for the kids (daddy promised them) so I decided to get them on his behalf. I bought Spiderman & Winx Club Flora, something that they will be thrill to receive. Today the school was having a Teacher - Parent Dialogue Session so I decided to leave my babies with my mom. Then godma called, we decided to let them bring Z out so that grandma can spend some time alone with L ( something that grandma wants to do for a long time). When I told L, she was upset.... She said she would like to be with godparents when she knew that Z will be spending time with them. I had to explain to her that godparents were doing me a favour, taking care of didi so that she can spend some time alone with grandma. After much coaxing, she was OK till godparents came to pick Z. Grandma quickly brought her out for shopping. She was sulky throughout.... Haiz.... My poor mom, she had to bear with her nonsense. I called her to assure her that we will meet them after the session. 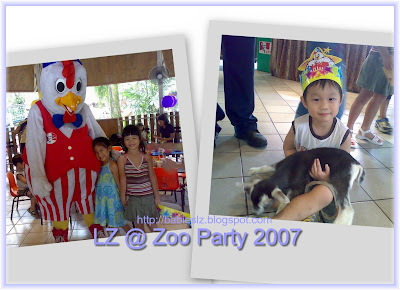 As for Z, he had a good time with godparents, they went to the bird park! Think it has been years they went there coz godma will "melt" under the sun! Hahaha... Unfortunately it started to rain and they had to cut short the trip. Back to the session... It was an opportunity for the teachers & parents to meet up. We talked abt the goals of the school and to clear any questions/doubts parents have for the school. I just found out the school has been around for 58 years! In 2 yrs time, they have a big celebration for their 60th anniversary and by then, Z will be in K2. 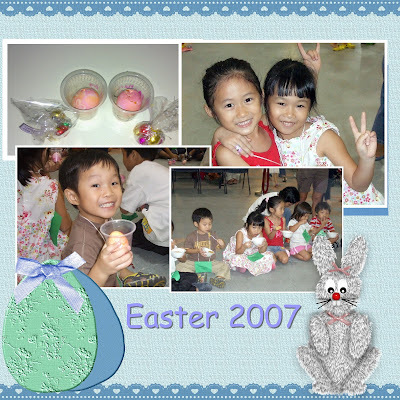 What a yr to remember :) It is a very good kindergarten and others staying far away attend the school too. Parents who used to study there 30+ yrs ago attended the session too coz their children are in the school now. So nice right? To have your children study in a school that you used to attend, it definitely bring back lots of memories for them. I talked to the teachers abt LZ. 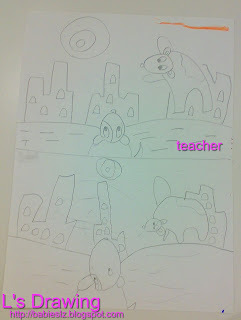 I asked L teacher how was her progress and was glad to find out that she is doing well in class. Z's teacher said that Z is doing very well too. He gets along very well with his classmates. At 5+, I meet up with godparents & Z and we waited for L to come back. She was so happy when she saw us. Before we leave, I explained to L what she has done wrong and she apologised to grandma for her bad behavior. When I walk out of my room, Z saw me and immediately said: "mommy, so pretty! Very cute!'" Oh my! That really made me laugh and melt my heart! I was only wearing a new sleeveless top and he said that. I'm not sure he mean it or not, but I chose to believe it. I thought I will only hear that from daddy! Hehehe..
A surprise for LZ! I arranged with my friend & her girl to meet at the mall for bouncers fun. 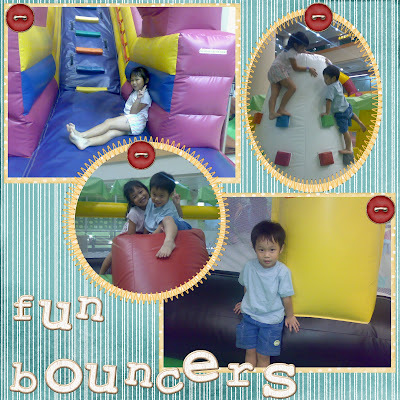 They had a great time playing on the different bouncers, hopping from one bouncer to another. After the fun, we went to MacDonald for dinner. 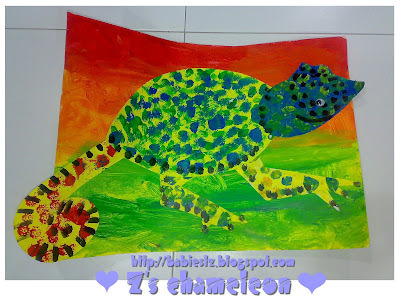 Z did this last week, a chameleon. Then he learned how to draw a bear face. 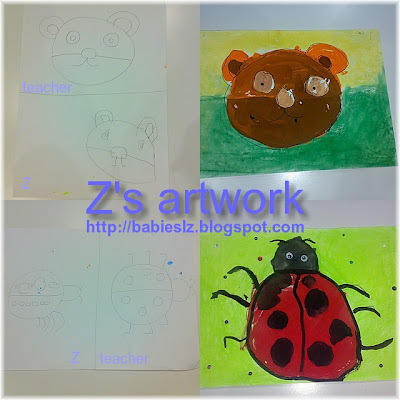 This week, he learned how to draw ladybug and he painted both pics. L learned how to draw dogs and she painted it. I'm still awake at this hour..... Haiz.... Having a very bad sore throat and cough. Falling sick at the wrong time, DH went overseas and will not be back till Sunday. It is always like that, when he goes away, I fall sick.. Good thing is that both my babies are very well behaved. L has been saying "poor mommy, sick also has to do everything by herself." We miss him very much. Everyday, L & Z asked when is daddy coming home (esp L). The first night, L woke up at midnight (she usually doesn't wake up in the middle of the night) and asked whether has daddy left for the airport. 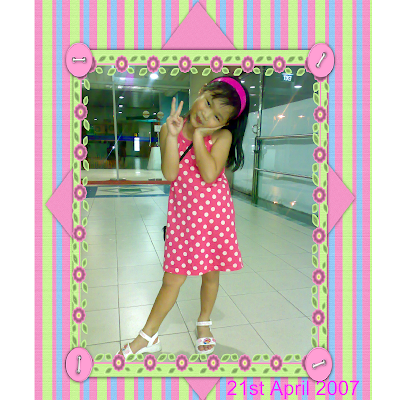 She was very disappointed..... She managed to talk to daddy before he board the plane, then she happily went back to her room. I love the way he speaks mandarin! they have their favourite lifts, the one on the left is Z's fav and the one on the right is L's fav lift. When we are waiting for the lift, they say "my lift coming!" "No! My lift coming! ", "mommy, who's lift coming?" We always whisper to each other, "I have a secret to tell you, I love you." They love to massage for us. Sometimes we massage for them too. When they want packet milk, they will say "we want moo moo milk"
When it rain and we are going to school. they are very excited coz they can wear their raincoats. Whenever I pick them up from school, they will ask :"mommy, what do you have in your bag for us? ", "what surprise do you have for us?". They know I will buy snacks for them when I pick them up. When we are tired, L would say "mommy/daddy tired, we let mommy/daddy rest. So no stories tonight." Then didi will say "OK" . How to say no stories when they are so sweet? L: Come, didi. Jiejie teach you spelling. L: Do you know how to spell horse? Z: H... I don't know. L: Very good! Now you know how to spell horse, Next time jiejie will teach you more OK? Z : OK! Jieijie how to spell car? Gagaga... I'm going to save lots of time teaching Z since I have a little assistant at home! 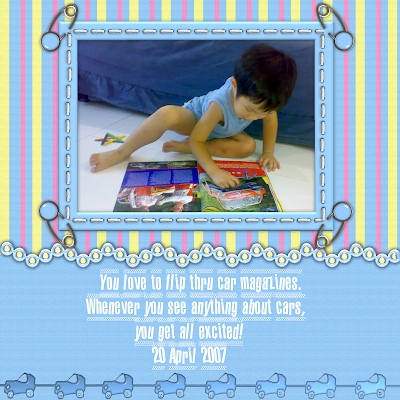 Few days ago, L came home with a letter for parents, informing us the annual photo-taking session for them. Wow! So fast? She have to be in full uniform with white shoes & socks on 23rd April. In a few months time, I will have to register her for P1! 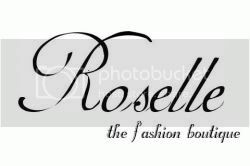 Friends & other mommies have been asking me which school is my girl going. Seems like they are more excited than I am! I do hope she goes the school that is very near to my house but that is a very reputable primary school so the chances of getting in are slim. I may try....Even if it is just a regular school, I would put her there too. Next yr, I will have to send them to different school and I need to cook, do housework, etc etc.... It would be great if she get in there. It would save me lots of time shuttling to different school. And I don't want to put her on school transport. I like sending my kids to school, I talk to them alot on the journey. Me: Sweetie, I like your classmate, Charlene. She very sweet, everytime I pick you up, she will smile, say hello and wave at me. I remembered when you were sick and did not come to school, she asked abt you. Me: Sweetie, Why are you so quiet? Me: Silly girl! Of coz I love you. You are my girl and I love you. Nobody can replace you. So you are jealous! (We started laughing) Do you know why I like Charlene? Me: She is your friend and she treat you well. If she is nasty to you, do you think I like her? L: No. If she doesn't like me, then mommy will not like her too. So Short Hair Means You Are A Boy? Z: Because she has short hair! When I think of people that are frequently around us, I realised none of them has short hair! That explains why he thinks short hair means you are a boy. :lol: I have lots of explanation to do! Today after school, we went to my friend's house. They just moved to their new house and we were happy that they invited us over for a play date. Today after sending Z to his class, I was standing outside the assembly hall watching him. He was playing with his friends. They were happy to see him after the long weekends break (school closed on Monday). They started playing and chatting. After school I asked him what was he talking to his friends and he told me they were talking abt Ultraman, how they fight, transform blah blah... He mixed around with the boys and when I asked him who are the girls in his class. He told me he can't remember their names. When I'm early picking him up, I see him paying attention to his teachers and enjoys singing the goodbye song. L get along very well with her classmates too. When she went back to school after few days of MC, her friends say "welcome back!" . I remembered she told me in her group, there was this boy who was a little grouchy and can't do his work. She helped him by telling him it's ok and offered to help him with his work. Whenever I pick her up, I can see her (from the gate) chatting with her friends and going thru the books with them. Sometimes I can see her sitting with her teacher and talking to her. I'm glad I have made the right decision to change them to this school. They may not get as much attention as before, at least they are happy and progressing very well. L said she likes her old school but she loves her new school! Z said he likes his new school too! He is able to write his name. He refused to let me dot dot for him to trace nowadays. he is able to dress/undress himself but when he is lazy, he says he can't. When he comes home from school, he wants to do his homework first and on weekends, he ask for homework too. Before we leave the house for outings, he will ask if I bring his gameboy. Think he can't live without it. When I am in the kitchen, he likes to be with me and always offer to help me. He will not allow me to fold his school file to put in my haversack, saying that I will spoil his file. He is very generous with his kisses. When he wants to eat something, he will say "I'm hungry" when he just had his meal. We will think that he is hungry and give it to him. We can't say "shh shh". We must say "pass urine"
When I ask him "do you love me?" or I say "I love you", He will say a list of people including our pets. 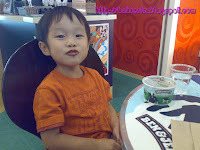 "I love mommy, daddy , jiejie, zhuzhu, terro, etc...."
Z may be naughty at times but he is such a sweet darling :) I love you baby! As LZ are still nursing their flu & cough, we decided to leave them at my parents place. We met their godparents for date. Yes, a date! It has been such a long time since we went out without our kids. It was nothing fanciful nor was it a dress up date. We went blading! Then we head down to East Coast hawker centre for the famous beef kway teow and wanton mee. We were glad that godpa likes the present we bought him but I forgot to give him the pic that L drew for him. Sign of old age..... L kept asking why we never celebrate his birthday or see his godpa. Sorry sweetie.... Next year you will celebrate with him ok? It has been 4 yrs since I joined my family-in-laws to 扫墓. I was pregnant and I have to take care of them. This year, my parents were able to help. I always felt bad for not turning up, not that they say anything, just that I haven''t been able to pay respect to my father-in-law personally. It has been 6 years since he passed away. He is such a good and understanding person though we can''t communicate well. You see, my father-in-law was from China and he speaks hokkien and I can''t speak hokkien. He had work very hard to raise his 8 children. He had never interfere with any of our decisions. Whenever we asked him, he said leave it to us to decide. I remembered he was overjoyed when we told him I was pregnant though it was his 16th time as a grandfather. I was pregnant with L when he past away........ I wished that he could see L & Z.... I wished that I have learned the dialect, then I can talk to him more. When he was in the hospital, I can''t visit him coz I was pregnant. The last time that I saw him was at his deathbed. It was emotional for everyone. I will never forget the moment he hold my hand and smiled at me. I told him I will take good care of his grandchild. I can''t send him off on his last journey or kneel down during the funeral. Perhaps that was one of the reasons I think I did not fulfilled as a daughter-in-law. Till today, DH is still very emotional whenever we talk abt him. 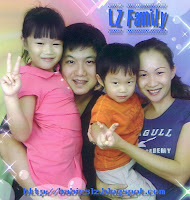 Once awhile, I will show L & Z 阿公 pics to them. I want them to remember him and to know that they have such a wonderful 阿公. When L asked where are we going today, I told her we were going to pay respect to him. She said she missed him though she has never met him. 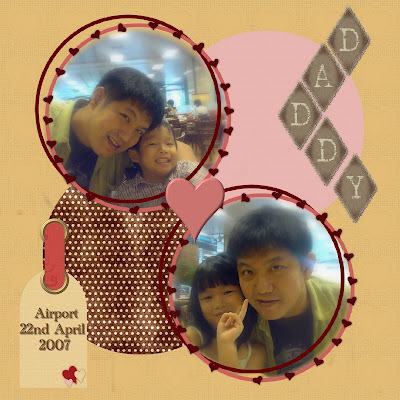 Probably through the pics and daddy always talked abt 阿公. We sent LZ to my parents'' house and they had a wonderful time with my parents. We picked them up and went home to rest as LZ are still nursing their cough & flu. Lately Z likes to play soccer in the house. Yes, in the house! And we have many glass frames..... Think it is time to bring him to the park. Good thing is that is was a small soccer ball otherwise I will faint! He told me last night he wants to be a footballer. Great isn't it? DH & me are soccer fans, a Liverpool fans. It would be great to see our boy playing on the field. Hehehe.... Mommy think way ahead, he is only 3 yr old and children always change their dreams. lol He used to say that he wants to be a firefighter and a police man. I thought he would like to be a taxi driver coz when we take a taxi, he says "I like this taxi". Gagaga..... He said "I want to play tennis" too. So he want to be a tennis player too? It is interesting to find out what my babies want to be when they grow up. How about yours? I know, L is not feeling well but she doesn't want to miss her best friend party @ the zoo. Told her that she will not have waterplay nor any of the party food. My poor girl..... But we were glad that we went, they meet up with some of their friends from the old school. They got to meet Mr Chicky too! Z was very happy that he carried a kid (see the pic)! It has only been 3 months and their friends have grown so much! 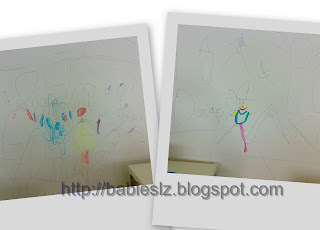 Daddies & mummies were asking how's my babies doing in the new school and the young ones were playing and yakking.